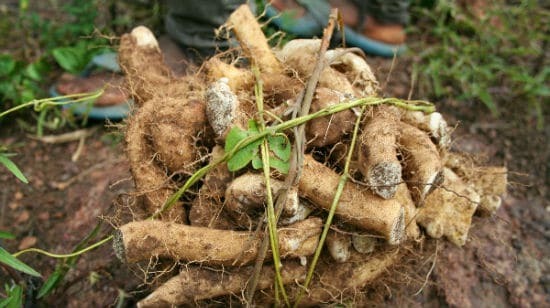 Home » Natural Ingredients » What Is Wild Yam Root? 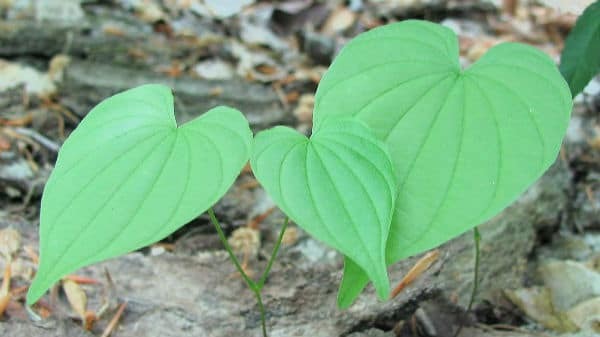 What Is Wild Yam Root? Wild Yam Root (Dioscorea Villosa) is a tuberous vine with uses as a dietary supplement for a variety of uses. Growing almost three feet tall, dioscorea villosa is widely cultivated to make progesterone and other steroids. Over time Wild Yam Root has served many medicinal purposes and is a crucial ingredient for making breasts larger with Bust Bunny. Where Is Wild Yam Root Found? Wild Yam Root is native to Eastern North America and is common stretching from Texas to Southern Canada. It is typically cultivated in Autumn and dried for later use in dietary supplements and steroids. What Are the Health Benefits of Wild Yam Root? Wild Yam Root has an abundance of diosgenin, which is a chemical that mimics estrogen in the female body. In fact, Wild Yam Root was used in the first versions of oral contraceptives. Wild Yam Root is also remarkably effective for treating menstrual symptoms and menopausal complaints. This is likely due to the fact that its used to make progesterone which has pain-reducing properties. To get all these benefits try using Bust Bunny all natural supplement! Get 10% off your entire order using coupon code “wildyam” or CLICK HERE to have it instantly applied. Moreover, Wild Yam Root contains beta carotene, which is an antioxidant used to maintain healthy levels of cholesterol. In fact, another benefit of Wild Yam Room is that many have seen lower levels of triglycerides after routine intake in their diet. With the menopausal health benefit of Wild Yam Root, it also has the capacity to aid in the prevention and treatment of osteoporosis. The Wild Yam Root found in Bust Bunny is also known as “colic root” because it has been traditionally used to treat colic with can have healthy and positive effects on you and your child’s mind. What Are the Side Effects of Wild Yam Root? Wild Yam Root is a generally safe root with many healthy and positive benefits. However, with any herb, there are some side effects of Wild Yam Root that you should be knowledgeable of. With any estrogen-producing herb, Wild Yam Root should be taken in moderation during pregnancy. Additionally, those when protein S deficiency should avoid using Wild Yam Root because some doctors believe it promotes the formation of blood clots in those individuals. The amount Wild Yam Root found in Bust Bunny is negligible for the side effects listed above and only promotes healthy breast growth and the health benefits listed above. What Is Wild Yam Root Found In? How Can Wild Yam Root Make Breasts Bigger? Wild Yam Root contains copious amounts of phytoestrogens (mentioned above as diosgenin) which break down in your body as estrogen. 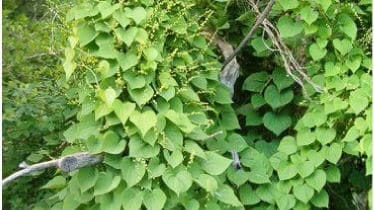 Much like the Black Cohosh found in Bust Bunny, Wild Yam Root encourages the overall health of the female body. Wild Yam is one of the leading ingredients in most breast enhancement supplements/creams since it promotes healthy breast tissue. According to experts Wild Yam does not raise your estrogen levels. 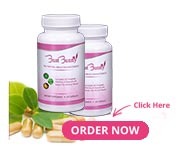 With Bust Bunny, there is the perfect amount of Wild Ram Root to ensure that your bra will be fitting a bit tighter and that your overall health and confidence will receive an enormous boost. With Wild Yam Root being an ingredient in Bust Bunny Breast Enlargement capsules, most women will see a noticeable change in their bust size. The root is all natural, and is considered safe by the FDA (it is listed on their Generally Regarded as Safe list, or GRA). Wild Yam Root has been used to effectively assist women for many years, and will aid in your breast growth journey. Start your breast enhancement journey today with 10% off using coupon code “motherwort” or CLICK HERE to have it instantly applied.